Keep an eye on the library's New Materials list to stay up to date on titles recently added to the collection. The list can be accessed via the link provided, or via the 'New Books' button in the Barbour Library's online catalog. The list is updated every two months, and the books can be found shelved together on the wooden shelving just outside of the reference room, unless they have been added to the reference collection or a course reserve. 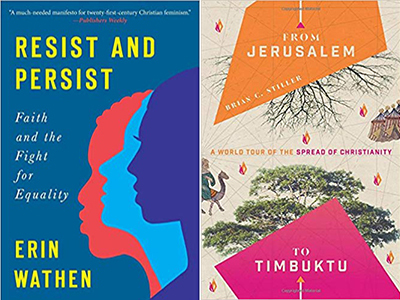 Some of the new materials added include an exploration of contemporary witness bearing, church work with immigrants in today's refugee crisis, and a return to expository preaching. Enjoy your reading!